This elegant saloon has changed very little since opening its doors in 1913. Behind the long wooden bar, the bartender mixes traditional cocktails like Manhattans and martinis that pair perfectly with the café's classic dishes such as crab cakes and asparagus and goat cheese arancini. 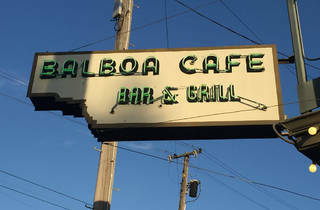 Just as popular for brunch as it is for happy hour, the Balboa is a classic San Francisco mainstay. Stick around after hours to experience one of the Marina’s more mature drinking options.